Swearingen, Z. J. 2015. 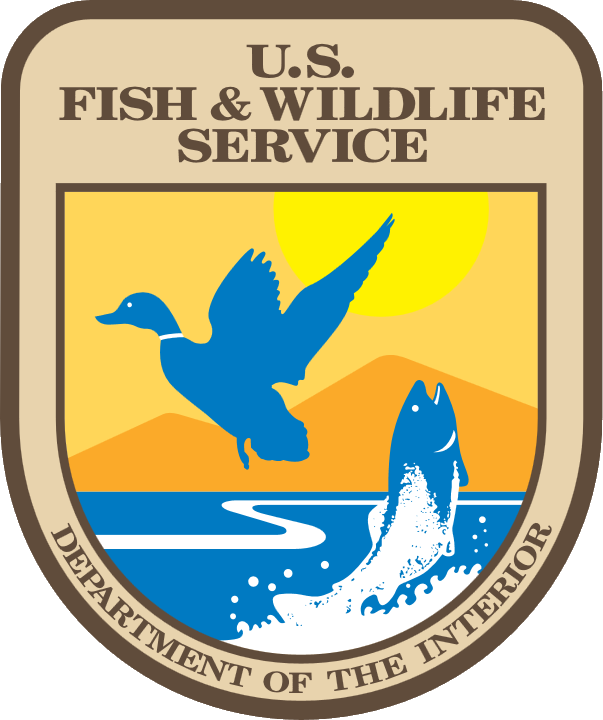 Effectiveness of Management Actions Intended to Benefit Wildlife Populations on the Craig Mountain Wildlife Management Area. M.S. Thesis, Department of Fish and Wildlife Sciences, University of Idaho, Moscow, ID. Dec 2015. Dobos, M. E. 2015. Movement, distribution, and resource use of westslope cutthroat trout in the South Fork Clearwater River basin. Master's thesis. University of Idaho, Moscow. Klein, Z. B. 2015. Population ecology and the suppression of burbot in the Green River, Wyoming. Master's thesis. University of Idaho, Moscow. Ng, E. L. 2015. Population dynamics and trophic ecology of nonnative lake trout in Priest Lake, Idaho. Master's thesis. University of Idaho, Moscow. Lundblad, C.G. 2014. Altitudinal migration in birds: tests of four mechanistic hypotheses in Yellow-eyed Juncos (Junco phaeonotus). M.S. Thesis, School of Natural Resources & the Environment, University of Arizona. Aug 2014. Garcia, M. G. 2014. Why is the Burrowing Owl Breeding Range Contracting? M.S. Thesis, School of Natural Resources and the Environment, University of Arizona, Tucson, AZ. Watkins, C. J. 2014. Fish assemblage and ppoulation responses to habitat restoration of side channels in the Kootenai River. Master's thesis. University of Idaho, Moscow. Dillon, K. 2013. Ecological Causes of Elevational Gradients in Avian Clutch Size. M.S. Thesis, School of Natural Resources and the Environment, University of Arizona, Tucson, AZ. Smith, C. D. 2013. Assessment of sampling techniques and fish assemblage structure in large western river systems. Master's thesis. University of Idaho, Moscow. Walrath, J. D. 2013. Population dynamics and trophic ecology of northern pike and smallmouth bass in Coeu d'Alene Lake: implicatonis for the conservation of westslope cutthroat trout. Master's thesis. University of Idaho, Moscow. Whitlock, S. L. 2013. Kokanee spawning ecology and recruitment responses to water level management in Lake Pend Oreille. Master's thesis. University of Idaho, Moscow. Fischer, J. R. 2012. Characterizing lentic fish assemblages and community-environmental relationships: an evaluation of natural lakes and reservoirs in Iowa, USA. Doctoral dissertation. Iowa State University, Ames. McCormick, J. L. 2012. Assessment of angler survey methods for managing Idaho's anadromous fisheries. Master's thesis. University of Idaho, Moscow. Parks, T. P. 2012. Fish assemblages in Iowa's nonwadeable rivers: historic changes in assemblage structure and relationships with natural and anthropogenic environmental characteristics. Master's thesis. Iowa State University, Ames. Bryan Bakevich. 2012. Occurrence and abundance of Topeka shiners and phenology of fish assemblages in off-channel habitats of streams in central Iowa. Master's thesis. Iowa State University, Ames. Goldberg, Amanda R. Apparent survival, dispersal, and abundance of black-tailed prairie dogs. M.S. thesis, Kansas State University, Manhattan, KS, 2012. Dzul, M. C. 2011. Population ecology and monitoring of the endangered Devils Hole pupfish. MS thesis. Iowa State University, Ames. Macias-Duarte, A. 2011. Change in Migratory Behavior as a Possible Explanation of Burrowing Owl Population Declines in Northern Latitudes. Ph.D. Dissertation, University of Arizona. Sindt, A. R. 2011. Fish species of greatest conservation need in wadeable Iowa streams—status, habitat associations, and effectiveness of species distribution models. MS thesis. Iowa State University, Ames. Borgmann, K. L. 2010. Mechanisms underlying intra-seasonal variation in the risk of avian nest predation: implications for breeding phenology. Ph.D. Dissertation, School of Natural Resources and the Environment, University of Arizona, Tucson, AZ. Reyes Paredes, Paul Eugenio. 2010. GIS Tools to assess the risks and benefits of barrier removal to native fish populations in Idaho. Svancara, L. 2010. Ecological Content and Context of National Park System. Steckler, S. E. 2009. Effects of vocal behavior on brood parasitism of Arizona Bell’s Vireo (Vireo bellii arizonae). M.S. Thesis, School of Natural Resources, University of Arizona, Tucson, AZ. Neebling, T. E. 2009. Fish assemblages in Iowa’s non-wadeable rivers: relationships with habitat and sampling methods. MS thesis. Iowa State University, Ames. Koch, J. D. 2008. Effects of commercial harvest on shovelnose sturgeon populations in the upper Mississippi River. MS thesis. Iowa State University, Ames. Kautza, Adam. 2008. Growth, Age Distribution, and Population Dynamics of Black Crappies From Idaho. Report Prepared for Idaho Department of Fish and Game. Non thesis project for Master’s Degree. Nielson, R. Jordan. 2008. Control of New Zealand Mudsnails in Fish Hatcheries. Master’s Thesis. Department of Fish and Wildlife Resources, University of Idaho. May 2008. Ogonowski, M. S. 2007. Factors influencing migratory decisions of western Burrowing Owls. M.S. Thesis, School of Natural Resources, University of Arizona, Tucson, AZ. Cassinelli, J. D. 2007. Effects of Water Temperature on Growth and Physiology of Different Populations of Redband Trout (Oncorhynchus mykiss gairdneri). Master’s Thesis, Department of Fish and Wildlife Resources. University of Idaho. December 2007. Jackson, Z. J. 2007. Assessment of the interrelationships between fish population dynamics and limnological characteristics of Iowa lakes. MS thesis. Iowa State University, Ames. Hughes, K. M. 2007. Habitat selection of band-tailed pigeons. M.S. Thesis, School of Natural Resources, University of Arizona, Tucson, AZ. James, C. A. 2007. Investigations of the invasive New Zealand mudsnail Potamopyrgus antipodarum in Idaho: implications for temperature limitations. Master’s Thesis, University of Idaho. Garcia, V. 2005. Effects of food and ectoparasites on age of natal dispersal in burrowing owls. M.S. Thesis, School of Natural Resources, University of Arizona, Tucson, AZ. Lantz, S. J. 2005. Nesting Ecology and Habitat Selection of Western Burrowing Owls (Athene cunicularia hypugaea) in the Thunder Basin National Grassland, Northeastern Wyoming, M.S. Thesis, Department of Zoology and Physiology, University of Wyoming, Laramie WY. Smith, M. D. 2004. Function of manure-scattering behavior of burrowing owls (Athene cunicularia). M.S. Thesis, School of Natural Resources, University of Arizona, Tucson, AZ. Quist, M. 2002. Abiotic factors and species interactions that influence recruitment of walleyes in Kansas reseroirs. PhD dissertation. Kansas State University, Manhattan. Quist, M. C. 1999. Structure and function of fish communities in streams on Fort Riley Military Reservation. MS thesis. Kansas State University, Manhattan. Conway, C. J. 1990. Seasonal Changes in Movements and Habitat Use by Three Sympatric Species of Rails. M.S. Thesis. University of Wyoming, Laramie, Wyoming.